I came across the following review of "Two Vagabonds in Sweden and Lapland" in the Dundee Courier - Friday 16 July 1926. 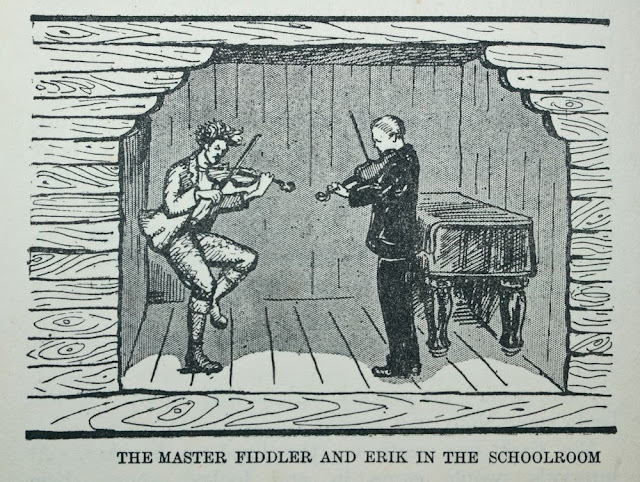 This book was one of Jan and Cora Gordon's "Two Vagabonds" series and includes, amongst many others, stories about "The master fiddler" and pagan music. The menu of what was simply an ordinary lunch in Sweden will astonish most people as it certainly astonished these two clever itinerants, Jan and Cora Gordon, who have just published "Two Vagabonds in Sweden and Lapland." Swedish men and women, we are told, eat breakfast at eleven and lunch at four. The variety and magnitude of the viands on the luncheon table suggests baronial feasts of the Middle Ages.